Considering how popular South Lake Tahoe is as an outdoor and vacation destination, with world-class skiing in winter, exceptional golf and the lake itself in prime summer season, and numerous large casino hotels all year round, there are shockingly few places to smoke. 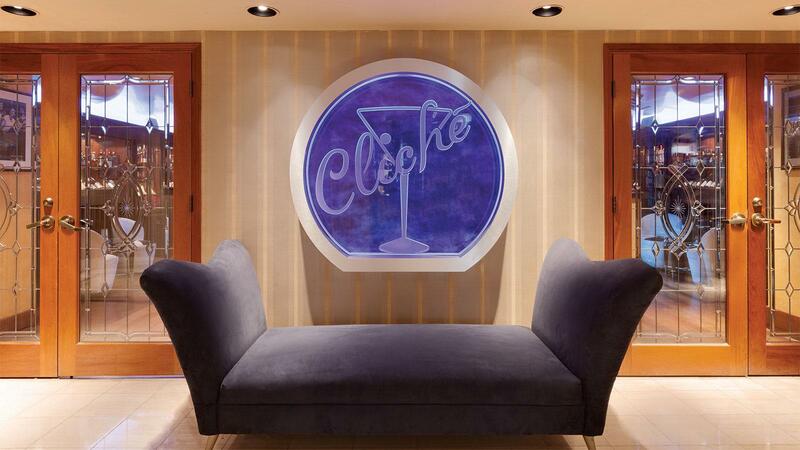 That’s why cigar loving locals, regular visitors, casino high rollers and many famous athletes and entertainers routinely make the Cliché Lounge their home away from home. 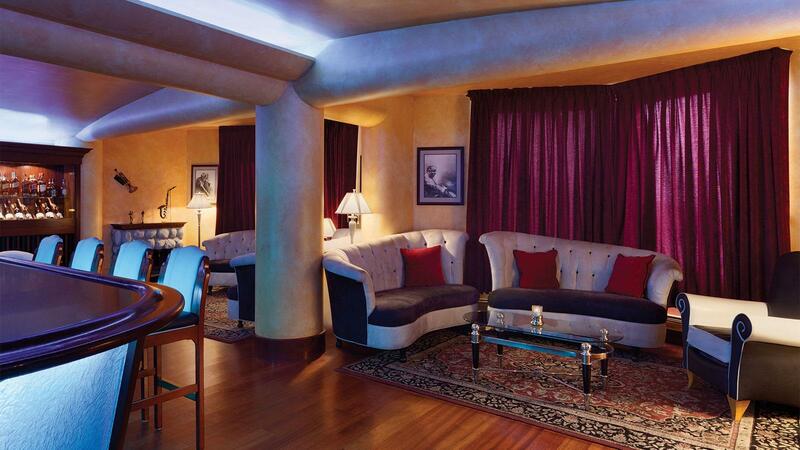 The space used to be part of Harrah’s most over-the-top Star Suite, which was shuttered about 20 years ago. It then became a boutique fine dining restaurant, with Cliché as the eatery’s bar, but that too has gone away while the newly expanded Cliché continues going strong. 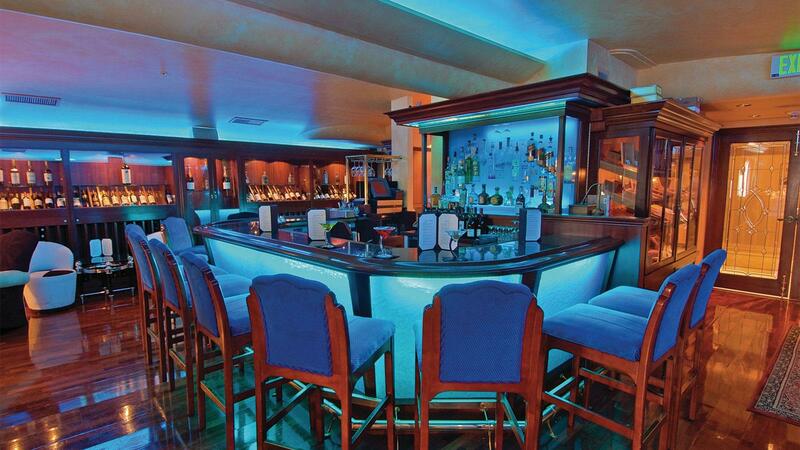 There is a horseshoe-shaped bar in the middle of Cliché with about a dozen high-backed leather stools ringing it. The three sides of the large room around the bar are filled with a warm and inviting mix of sofas and easy chairs, broken into intimate groups, many of them enjoying the great views out to Lake Tahoe. Sunset is the most popular time to be up here smoking, as it is usually a dramatic and colorful affair over the lake and perennially snowcapped mountains. 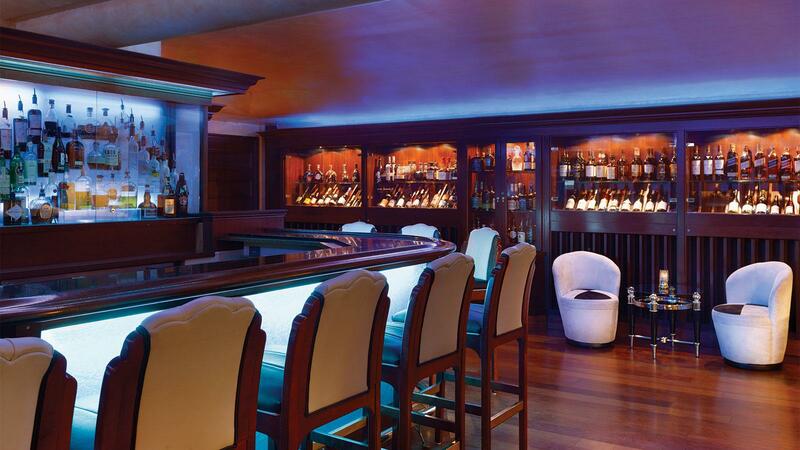 One wall of Cliché is lined with glass racks displaying the extensive fine wine library, which runs towards the steakhouse end of the spectrum; lots of big reds such as Caymus and Silver Oak, while the opposite side is home to the large glass-walled display humidor. “I try to keep something in the humidor for everyone,” said manager Melanie Tiffen. The perennial bestseller here is the Arturo Fuente Short Story ($16), but there are four other Fuente offerings from the Chateau ($15) to Fuente Fuente OpusX ($50), along with a selection including Ashton, Baccarat, CAO, Cohiba, Drew Estate, Del Sol, Gurkha, H. Upmann, Macanudo, Montecristo, My Father, Oliva, Padrón, Partagas, Rocky Patel, and Romeo y Julieta. One wall of Cliché is lined with glass racks displaying the extensive fine wine library. Cliché focuses more on a broad variety of brands than depth in each one, and many are offered in just one version save for Fuente, Montecristo and Romeo y Julieta, which are stocked in several varieties. Prices are modest, with the majority under $30, up to the toptier Fuente Fuente OpusX. “I have a lot of regulars. It’s a hidden gem, not that well known, so once people find out about it they tend to keep coming back. It is very intimate with no food or TV, so people like to stay a couple of hours, and converse,” said Tiffen. There is actually a hidden television, but it is only turned on when requested or during big games. In this vein, many policies cater to customers, such as opening at off times for groups or special events, and staying open late so customers don’t have to rush. “If someone comes in ten minutes before midnight and lights up, we’re not going to kick them out. We stay open until they are happy,” Tiffen said. It is also a popular spot for gamblers to take a break from the tables and escape for an hour to two, though some buy cigars here to smoke in the high-limit room, the only spot in the casino that allows cigars. The three sides of the large room around the bar are filled with a warm and inviting mix of sofas and easy chairs, broken into intimate groups, many of them enjoying the great views out to Lake Tahoe. South Lake Tahoe is far less glitzy than Las Vegas, and Cliché is about as upscale as a bar gets here, with a deep selection of high-end whiskies and Cognacs. There are a lot of whiskey tasting flights by theme, such as “smoky” with Lagavulin, Laphroaig and Ardbeg, or a Glenmorangie sampling with three varieties. “We sell more whiskey and Old Fashioneds than anything else, but also a fair number of martinis,” said Tiffen.